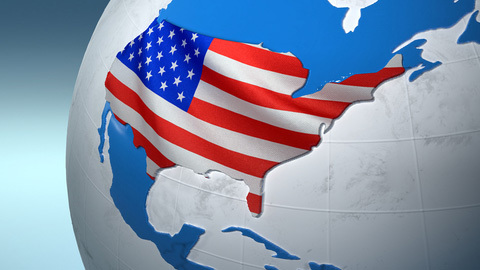 Following XpertHR’s recent launch in the US, legal editor Michael Cardman discusses the changing legal landscape and reveals the top five issues that US employers are facing. The proliferation of social media poses risks and rewards for employers. Facebook, Twitter and LinkedIn can help employers to spread brand awareness, recruit new employees and stay on top of industry trends. But, if used carelessly, they can result in violations of state and federal laws. The law in this area is just emerging but it is evolving rapidly, leaving employers with little guidance on how to proceed. However, legislators are beginning to address the issue. California, Maryland and Illinois have passed new laws that will prohibit employers from asking employees and job applicants for their social media passwords. Similar legislation has been introduced in state legislatures and in the US House of Representatives. Meanwhile, the National Labor Relations Board (NLRB) has issued guidance and several rulings addressing the issue of whether employees’ use of social media is protected under federal labour law. In one such case, Bay Sys Techs., LLC, No. 5-CA-36314, 2011 NLRB LEXIS 395 (Aug. 2, 2011), an employee, Dontray Tull, posted comments on Facebook about his employer paying its employees late. These comments were subsequently published by a local newspaper. The NLRB held that Mr Tull’s Facebook posts were protected activity because they concerned his working conditions and the NLRB ordered the employer to stop threatening employees about the posts. Many employers ask job applicants or employees to submit to credit checks, the idea being that workers with bad credit are likely to be less reliable. Federal law allows employers to conduct these credit checks through third parties, as long as employers obtain written consent and comply with the notice requirements of the Fair Credit Reporting Act. However, good credit requirements have been challenged under Title VII of the Civil Rights Act as having a disparate impact on minority applicants and women, who are statistically more likely to experience higher levels of bankruptcies and damaging credit reports. Consequently, some states have started placing additional restrictions on how and when employers may conduct credit checks of job applicants and employees. Vermont became the latest state to enact such restrictions, joining California, Connecticut, Hawaii, Illinois, Maryland, Oregon and Washington. Bills relating to credit checks have been introduced in several other state legislatures, so employers should be prepared for other states following Vermont’s lead. Since 1947, states have been permitted to enact what are known as “right to work” laws. These laws make union organisation more difficult because they prohibit a union and an employer from reaching an agreement to union membership and financial support in the form of dues as a condition of continuing employment. Earlier this year, Indiana became the 23rd “right to work” state, following 22 others. Right-to-work legislation has been introduced in at least 10 other states: Alaska, Hawaii, Maryland, Minnesota, Missouri, New Hampshire, New Jersey, Pennsylvania, Rhode Island and West Virginia. Other states may follow suit given the current pressure on lawmakers to enact such laws, which some economists believe stimulate economic growth. Employers must comply with leave laws like the Family and Medical Leave Act, the Uniformed Services Employment and Reemployment Rights Act and state and federal jury duty laws. Now, many states are also providing leave rights for victims of crime and domestic violence, as well. Legislation to establish or expand such types of leave has been introduced in at least six states – Arizona, Massachusetts, New York, Ohio, Pennsylvania, Texas – and more is expected to follow. These laws vary from state to state, but typically they protect the right of crime victims and their family members to leave work to participate in criminal proceedings to obtain an order of protection, an injunction against harassment or any other injunctive relief to help ensure the health, safety or welfare of themselves or their relatives. Discrimination continues to be a big concern for US employers. For example, the number of employment lawsuits filed under one of the most prominent discrimination laws, the Americans With Disabilities Act, has risen by two-thirds over the past four years on record. Meanwhile, nearly 100,000 employees filed charges with the Equal Employment Opportunity Commission (EEOC), the US agency tasked with enforcing most discrimination laws, in fiscal 2011 – the highest number ever. The EEOC proposed several initiatives for the upcoming years that should keep employers on their toes.